Travel Blogger Blueprint - A step-by-step blueprint for travel bloggers. 1). How many times a day should I pin? No point where its too much; pin away as much as you want. Just be mindful of overloading your followers. 2). How do you get your pins to show in the smart feed and search? They are looking for historic pins to see how they do to decide what to do with the new pins. The key is to make sure that when your pins first appear on Pinterest, make sure your followers like them first as this is what they are using to do it. 3). Is a click worth less than a re-pin? We are constantly evolving what weight to put on a particular action. Clicking through and re-pinning are great to have. We try to get the content out to the followers right away. Within the first few days you should see engagement from your followers. 4). How much do followers matter? How much of my total distribution comes through my followers? Your followers is a tiny fraction of the total population of users who will see your pins. 5). How do you get more followers? 6). How to grow followers? – If you’re engaging with your followers, then Pinterest will help you. 7). Does it matter what time you PIN? 8). What’s new in the profile? a). There’s a carousel of pins that you can highlight. 9). Pin image sizes; what’s recommended? Square or a 2×3 ratio. 600×1260 will they still be shown but not optimized? 10). What’s the deal with Sections? Will they appear in searches. Is there a benefit? Providing additional meta data to Pinterest. It helps them to understand whats in the board. It’s useful for SEO purposes. use it! 11). Should I pin other people’s content, how much and why? As a pinner think what would be the best experience from your followers seeing what you are posting. A good combination of both is good. they welcome re-pins. Prioritizing fresh content from your Web site and fill in gaps with re-pins to ensure you always share new content with your audience. 12). what is pinterest vision of Group boards? re-pin rate dropped dramatically in the last two years. Something they’ve seen over time is that people like the Pinterest content from the people they directly follow. When they pushed other people’s content on the users feed, its confuses them. As people have taken advantage of the group boards, its not good for the user. Don’t think of them as a tool for distribution. They are prioritizing content from personal pinners rather than group boards. 13). Does board order matter? Is there an internal mechanism for this? No board order does not matter; not used in the rankings. Feel free to adjust this to what you want. 14). Is there a smart feed advantage to live pinning? Does a scheduler hurt you? Tailwind and other schedulers are used often. They see it as a way to easily automate the process. They don’t want 20 pins to come from one blog post at one time. No penalization for third party tools like tailwind; they are a friend of the company. They want more people to stay on Pinterest platform as they want the hits. 15). Many bloggers are seeing surge in traffic if they turn off rich pins. what’s the deal? 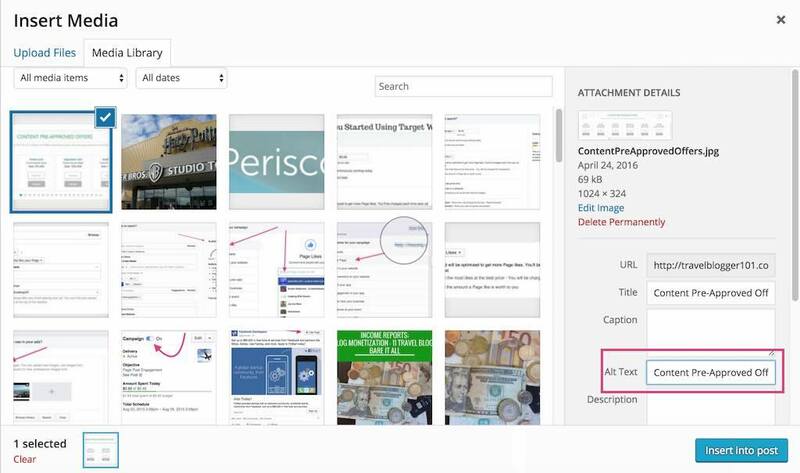 They will be releasing some new formats soon to help with the user experience. 16). What’s Pinterest doing about stolen pins? working on combative techniques. Aggressive investing in domain quality; make sure that the landing page content lives up to the pin. Loads quickly and does not spammy content. Reach out the people’s content that you see is being stolen so they flag it. Tell Pinterest as well. 17). hashtags? what’s the deal? Should we update old pins to add hashtag? Are hashtags useful? feel free to add hashtags on old pins if you like. they are trying to keep the content fresh; newer pins are featured over older ones. 19). Are there best practices for hashtags? They realize that there is keyword stuffing; its against their TOS. They are looking for it and will penalize you when found. Keep the hashtags relevant and make sure they are timely and topical; see what hashtags people are using; core verticals, fashion, travel that works best on say Instagram will work on Pinterest too. 20). Will you see how people find you using hashtags in analytics? not really as analytics is too new for hashtags. No timeline as yet. 21). Are keywords more important than hashtags? Yes. A perfect pin has great keywords, description and relevant hashtags. 22). Any tips on getting to the top of the search results? seems random at times. pins are ranked on how likely they will be engaged. 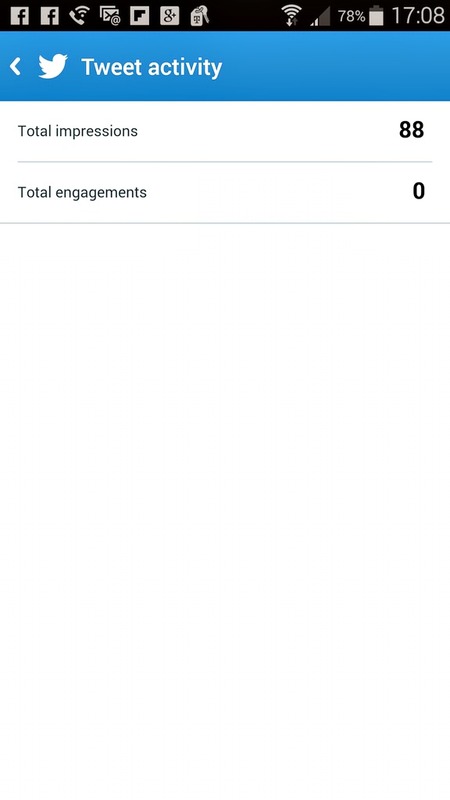 Pay attention to the engagement rate of the pins in the new analytics. Use that as a guide. 23). Does Pinterest plan to pool hashtag search results? Search results will always give you the most relevant results. 24). Can you see which percentage of your followers use mobile on your Pinterest analytics? No, not at this time. the vast majority of the user base is on mobile though. 25). Should they re-make draft pins using a 2×3 ratio? Yes. As they are favoring those. 26). Does using rich pins give you an advantage as to how pins are presented? 27). how about no text on the photo? no prioritization based on text on photo or not. You can use it if you want though so as to be clearer. 28). Do you crawl people’s site to see if they have more content on something? Can you see if they are an authority? Can you add context when you crawl? Yes. they do crawl the site of the underlining pin. what content lives on the landing page; is it 404 or blank, etc. So they can understand if the page is spam or not. They are in the early stages to see if the pin is from an authoritative site. 29). Quick tips for running an ad and getting best results? Same as for organic pins best practices. 30). what’s your one tip to content creators? Try to understand what content your followers like. Keep that in mind and give that to them. They care about consistency; pin daily and weekly. Keep pinning. Upgrade to the business account. make sure you verify your domain so they know which content belongs to you on Pinterest. I see and get questions all the time about “how do I make my site show up in the search engines when my user searches for something in my genre?” This is a tough one so here are 8 ways to get your site to show up in the search engines (SEO). 1). Ensure that your photos have an Alt tag, its one of the fields in WordPress when you import a photo. Use a proper description. This is not only good for SEO, its also good for the sight impaired site readers as their equipment will read the alt tags and tell them what the photo is all about. To do this, click on the “Add Media” button in your WordPress editor, then upload or select the image in question. You will see a label called “Alt text” under the “Captions” area. Enter your Alt text there, then wen done filling out the other fields click on the “Insert Into Post button.” and voila you are done. If you are a html expert, you can also just add the following to your html code to your image code. 2). Use descriptive names for your photos. Don’t use ‘img43245.jpg’ It’s pretty funny to do searches on filenames; try “dsc9875.jpg” to see what I mean. This some of the filename structure of the various cameras out there. Most people just upload photos using the name the camera software gave them. Don’t do that be descriptive of what’s in the photos. As an example, the photo above filename is “Howtoenteralttextonanimage.jpg” since is describing how to enter alt text on an image. Get the picture? 3). Use an SEO plugins. There are a few out there, I use Yoast SEO Plugin. Just fill in the information requested for each post. i.e. the focus keyword(s) and meta description. The post will give you indications of how you are doing SEO-wise. It also has a SEO Check link that will tell you how you are doing Good or Bad. 4). Use the focus keyword in the title of the post. Ensure that you structure your title to include the focus keyword you would like people to find your post when they search. 5). Use the focus keyword in the first paragraph of the post. This is a great way to tie in what you have used in the title into your story and helps with the search engine juice as well. Don’t make it awkward, just make it blend in. You can see how I’ve done it in this post. 6). Don’t spam your own post, but mention the focus keyword in your post a few times. It’s important that you mention the focus keyword throughout your post. but don’t make it look like you are doing it. Make it part of the sentences and it should be natural. 7). If you can refer to other posts on your site in the post you are writing. This not only helps with onsite SEO (the other side of SEO), but it also helps with bounce rate since people will stay on your site longer as you have content they like to read that are related. You don’t have to do all this yourself, you can get a virtual assistant to do this for you. 8). Write copy that covers your topic, at least 500 words. Give the users examples, photos, step by step directions as people do like that. Your post can be as long as it needs to be just keep it interesting. 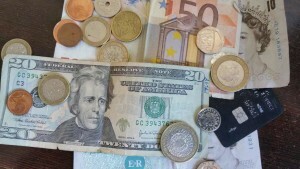 I wrote a post for my other blog which gives travel tips in the brand loyalty space. 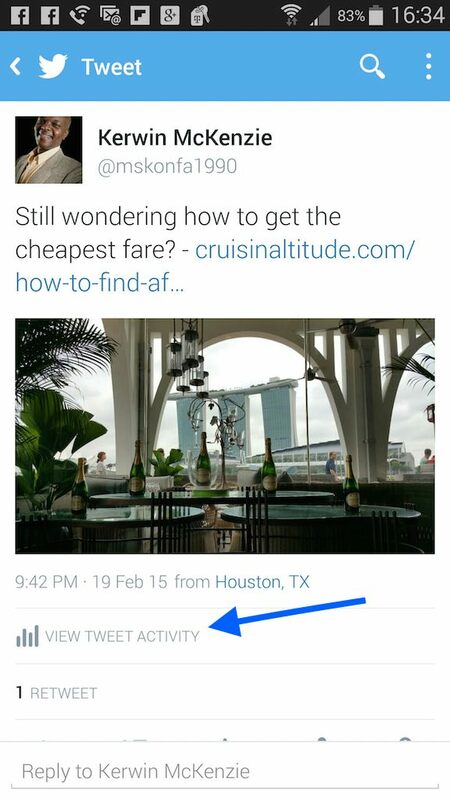 The post talked about how to find affordable fares without going broke. It is about 6,120 words. It took a while to write, but I wanted to fully address the topic. Its one of the most viewed post on that blog to date. Did you see how I mapped out this post, giving examples, links, images, step by step instructions? That’s the idea. So what are some of your ideas to enhance SEO on your site? Affiliate Marketing is one of the sources of my monthly blogging income. Not the largest source, that’s Ads. There are many ways to do affiliate marketing but I will talk about one of the larger networks in this post. What CJ has done to help us with these denials is to create a program called Content Certified. This is where they pick some of the top programs and clears the way for you to get accepted into them. So all you really do is pick the ones that fits your brand and you’re almost always approved. They are looking for bloggers to join the program, so they created an affiliate program for referrals. Make sense right afterall, they are CJ.com :-). Go to the sign-up page, read the info, watch the video, if you like what you’ve read, fill out the form a little way down the page on the right with your info. The important thing is where it asks for the Referral Code, enter 3501803. That’s how they know I sent you over and I’ll get a credit of $10 when you are approved. Total transparency there. The code is not required for you to sign up, so its totally up to you. Once you get approved into the program, you will see that screenshot I have above, just Accept the programs that fits your brand, then get the code for the links, images, etc. place them on your assets and you are in. So get in there and start making some money from affiliate links.The thing with affiliate links is to ensure that what you are selling matches what your readers want. Are you using Affiliate programs? I see some people say that numbers aren’t important, its engagement. I don’t necessarily agree entirely as if you look at every single, well almost every single opportunity that comes up, it asks for guess what “good” numbers. Of course the term “good” and “high” differ by brands, location, blogger, etc. so that makes it even more difficult. We are humans and that’s how we measure things; that’s why we do Top 10 Lists as we want to know the best in any category. It’s the high numbers that sometimes get your foot in the door, then the engagement comes. Not usually low numbers with good engagement. It could happen, but not usually. Don’t fool yourselves. And this does vary by region. I was in Asia at ITB Asia and almost every brand I met the first conversation was what are your numbers. And unless it was five figures, you’d typically be overlooked. As a matter of fact; I got turned down for some stays and I know others who got the same comps as they had higher numbers. Which is fine, just letting you know how it seems to be in that part of the world. Your experience may differ of course. Brands want awareness so they look at really large numbers to get this. This is why celebrities get paid so much money to make appearances; they have mass appeal. I know I’ve been overlooked many times as my social media numbers are not as high as the brands want; great engagement though. Now don’t go crazy now, I did say this is not the case every time :-). So what do you do then if you have “lower” numbers? Build your brand and your audience. And whatever you do, as tempting as it may be, do not buy or cultivate the numbers as that only ends in one way; disaster! Some people are lucky and their brands are built quickly; for others it takes time and a boatload of work. 1). Use Facebook Ads to target your audience. Yes, this will cost you, but you should invest some money in your business. Here you can choose the exact audience you want to Like your page or subscribe to your newsletter, etc. Head over to Facebook.com/ads to get started. 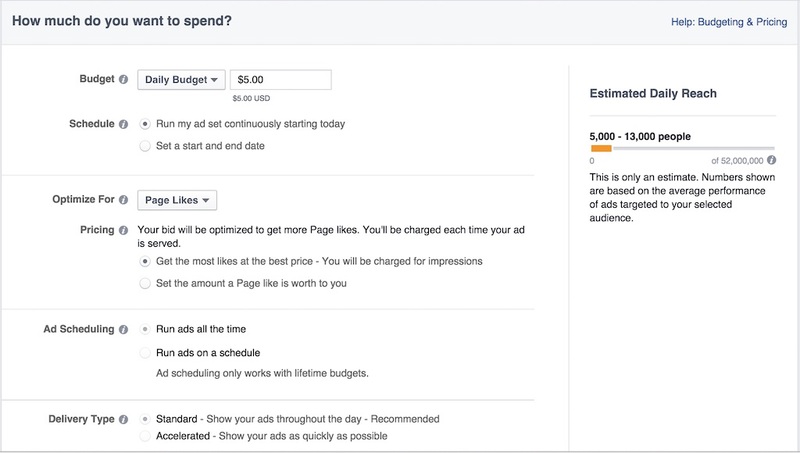 I also did a piece on Facebook Ads here. 2). Create a sticky item on your site that brings users back. Do a survey and find out what is it that your users want and if you can build it for them. It maybe a place to check off a bucket list or do some kind of calculation; maybe a calculation to figure out how much money to take on a trip to a European city as opposed to a trip to an Asian city. You can use free tools such as Google Forms or Survey Monkey to create these surveys. And hire coders from places like Upwork.com. 4). Concentrate on one metric/social media at a time. Don’t try to be everywhere every time, yet. Yes, Snapchat is getting big now, but is that where your audience lies? Find your social media niche and work it. For me, that is primarily Facebook, so I spend more efforts there. Instagram is growing, but not as much as Facebook, so I try to concentrate there. What I’ve noticed is that if you are big in one media and then move to another it works better as your fans will follow you wherever you are as they like YOU. 5). Start a newsletter and create an opt-in bribe that your readers would pay for, but give it away for free. The bribe does not have to be lengthy, but it has to be something with which your audience resonates. So maybe a checklist for packing for a ski trip, or a five tips to get upgraded on the next flight or ten of your best photos. You know your audience, give them what they want. There are many newsletter engines out there; I use Convertkit and Aweber, but there’s Mailchimp, Madmimi, Drip and at the highend, Ontraport, Infusionsoft. And there are many, many more. Start small and as you build your list ensure that it pays for itself by looking for sponsors or companies of which to become Affiliates. 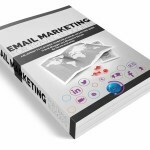 The key to finding a good email product is to ensure that you can tag and segment your list. By this I mean, put list members in categories so you can tailor emails to them. So for example, you may have a beginner category for travelers or golfers, skiers. This way you can send them information that’s appropriate. It increases your open and click through rates and makes your readers happier. I’ve found that Convertkit does that really well. 6). Do a guest post. I know that many of you “don’t work for free,” but a guest post is a good way to introduce yourself to a new audience and pick up some followers. Shoot for larger publications as they will give you the best bang for your buck, well time. Have a game plan, so ensure you have similar articles on the site so users can stay longer when they come. Also the link in your bio should perhaps go to a special page for those readers so they feel special. Be different. 7). Speak at a conference or in your local community; this will show you as an authority and open up a whole new audience to your brand. Look at Meetup.com and find some local event. There are also local Social Media Days in lots of cities. People need to know who you are and what you are about. 8). You could even have a piece of content and in order for them to receive it they have to tweet to unlock it. Here are some plugins you can use. 9). Whatever you do, do it well and then some! Write quality content, teach, give, take great photos, make enchanting videos, entertain, give. Invest your time in the business. 10). Be You. No one else can. This is hard since we always want to emulate others with large numbers. But we can’t get there unless we are us. It’s much harder now to build a brand from scratch. And its not as easy to build a twitter following as it was when twitter started 10 years and two days ago. But if you are you and are likable that goes a long way. 11). Be different. Look at what’s going on in your niche and try to be a little different; sometimes that’s all it takes to breakthrough the clutter. Don’t be afraid to fail. I’ve failed many times and still trying new things. When you fail, its good as you now know what does not work. 12). Market yourself. I can take a lot of blame for this one as I’m not good at this. But I’m taking steps to fix that and you can too. It does not take much to make it all happen. Get yourself out there and show yourself as an authority. Many of the tips in this piece can go a long way to help. And sometimes you just have to take a stance on something and go with it. 13). Hone your craft. If you aren’t good at what you do, no one will follow you on social media. It’s that simple. So take time to be good at what you do. If that means taking online courses, then do it. Attending seminars then do it. Maybe a class at a local community college. Do it. 14). Be patient. It takes time, unless you are lucky:-). Usually it does not happen overnight. And sometimes you have to spend your own money. 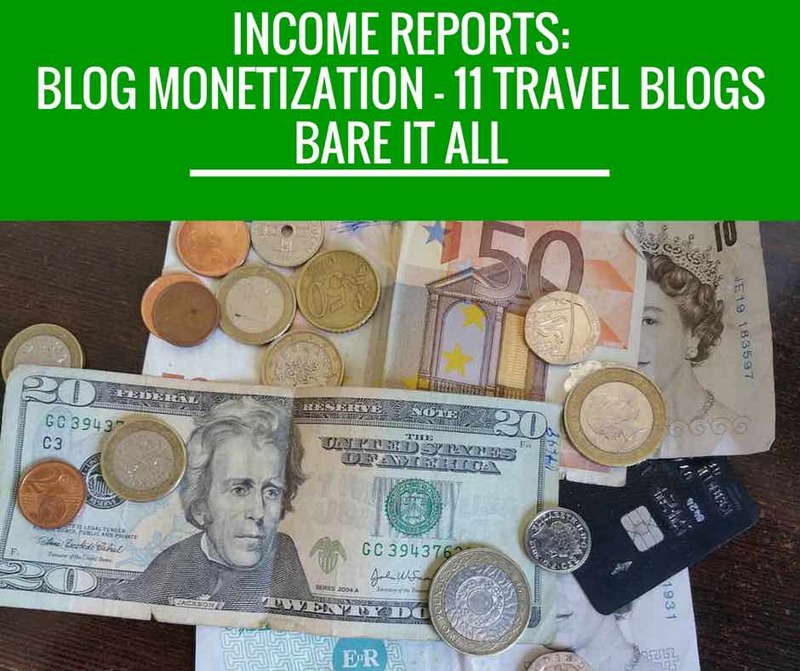 I think I remember Lee Abbamonte saying at a conference that he used his own money to visit all the countries in the world, then he got noticed and now he gets paid to travel. So be patient and have fun doing it. It may not happen right away, but it will. These are but a few of the items that you can do to get your numbers to the levels where you will start to be noticed. What say you? What have you done to increase your numbers? If you currently have “high” numbers or are building your numbers? How did it all work for you initially? And if you are a Brand who thinks I’m all wet, let me know as well. Are you numbers focussed? Honestly, what do you look for if the blogger does not have “high” numbers? By now you must have heard about Periscope, its that App that allows you to live stream anything you are up to. Its current main competitor is Meerkat. I thought I’d give you these 23+ tips to make you a better travel scoper on Periscope. Oh, I’ve done a few scopes, you can search for me as mskonfa1990 when you have your App loaded. Plus you can see two scopes I’ve placed on YouTube at: https://www.youtube.com/watch?v=4je67KlrqP0 and https://www.youtube.com/watch?v=PJvgwIANf8Y. 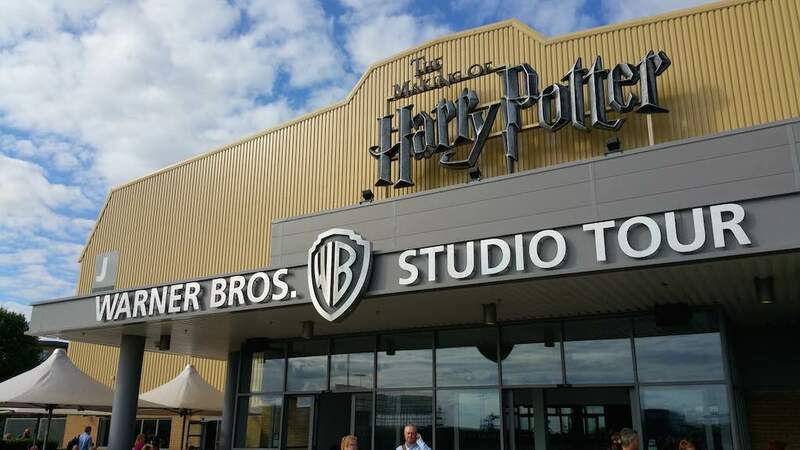 They are both Harry Potter based as I did a your of the Making of Harry Potter at the Warner Bros. Studios London recently. Download the App. Android | IOS. Can’t really do much unless you have the App installed. Keep abreast of the happenings with Periscope. Here you will find all that is going on with Periscope. It’s essential reading. As much as you can welcome each and everyone who joins your scopes. This shows that you care about your audience. It’s like how when people enter a store someone says welcome and you feel special all of a sudden. Same concept here. Remember to welcome replay viewers. Not everyone watches your scope live, so give the people who watch the replays some love. If you click on the Map icon, you can see who is scoping around the world. Randomly drop in on people and see what the rest of the world looks like. Give them some hearts while you are at it. Tell viewers how to follow you; don’t assume they know. As they are watching, tell them to swipe right on IOS, swipe up on Android and click on your name as the Broadcast, then click on Follow. If it says Following, then they are already following you. Since you are more than likely doing travel videos, turn on precise location; this way people can find you if they just want to see people who are broadcasting on the Map view. Be mindful that precise location is precise, so your location is revealed and stalkers can and will stalk you. Ignore trolls and just block them. No need to entertain them at all; that interaction will just distract. Also, you can block trolls by pressing on their comments and Block them. Remember to tell people where to find you. If you can write your website and twitter, email contact, etc. on a piece of paper and keep it with you, then hold it up to the camera steadily so the viewers can read it. Ask people where are they from and if they’ve ever visited where you are broadcasting from. Get them to interact. Thank them for watching and giving hearts. Say something like if you are enjoying this, give us some hearts and share with your friends. Also encourage then to give you heart if they like what they are seeing. The periscope algorithm uses the hearts to help to feature you, or at least it used to. Remember to tell the viewers who you are and what you are doing periodically since people come on at different times. It’s like how they do in radio and TV. If you can, tweet that you’ll be on periscope in x minutes before you go on. Do it on other social media channels as well. Tweet again once you are on. Get your friends to share your tweet. Ensure that your bio has search terms in it for your genre. So if people search for say “travel” you’ll show up. Or maybe its a particular city or food item in which you are the expert. Hold the camera as steady as possible; when you are doing walkthroughs do it slowly since the camera’s eye is not as fast as the human eye and remember that you are seeing a much wider picture than your viewers. If you walk too fast, it will look like a blur. Get a lapel microphone as it will help your sound quality and ensure it has the little foam thingy over it to help with wind. The RODE smartlav+ seems to be the microphone of choice, but there are plenty others. Follow Alex Pettit, he’s the Master! That should do it for now. I’ll add a few more as time goes by. I see many comments online all the time about how mean Facebook has become since its not free to get your content out anymore. Remember that Facebook is an Ad Agency; they are a public company and selling Ads is one of their revenue models. 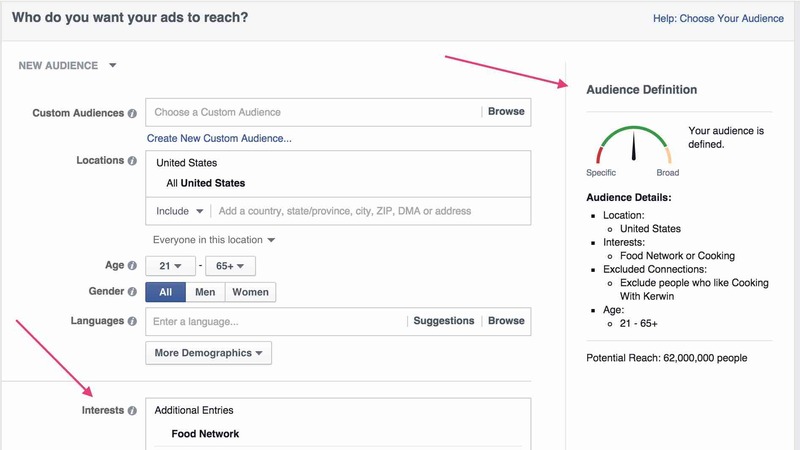 So here are 15 steps to get you started using targeting with Facebook Ads. If you have a business, you should know by now that you can’t offer everything for free. I mean, how will you pay the bills? My overall strategy for Facebook Advertising is to increase targeted traffic to my site. The important word here is “targeted.” Facebook makes this super easy. Then get them to subscribe to my newsletter where I can talk to them and have a conversation, do a survey and give them exactly what they need. Also, when they are on your list, you can always remind them to Like your FB page. So all my Like campaigns target a particular country and a particular interest. I choose the countries that I know my audience exists, but are not familiar with my page/services. Initially I did pure Like Campaigns, but now I’ll do campaigns that encourage them to click on a Facebook Post that will take them to my site to build traffic, knowing that if I target correctly, the propensity for them to join my mailing list or return later is very high. Also, when I target people who do not currently Like the Page, they see a “Like” button inserted by Facebook on the ad, so they may like the page outside of the original intention of the ad. I do one country at a time as its easier to measure and Facebook prefers it that way, so the ads work better. It may cost a bit more since I have to do each country, but that works well. I normally run a Like campaign for just under $100 then stop it and let organic Likes take over. What you will find is that the friends of the folks who Like your page will follow since they trust their friends. It is imperative that you watch the Ad like a hawk initially so you can adjust the bids up or down so it starts to be shown to visitors. Once it starts going, still watch it as most times, the bid lowers and you want to lower your offer as well. Remember you can pause the Ad at any time, analyze, make changes and re-start it. Go to Facebook.com/ads and then click on the ad. Look over on the right hand side you will see a box similar to the one below. Click on the On button to toggle on/off. Remember to set a daily budget; I usually set $5, so my ad runs for 20 days if I make it to $100. Of course you can adjust your budget accordingly. You can run a specific campaign that basically just says “Like my page” with a photo that you know will appeal to your audience. You can choose I think up to five photos and look at the stats (https://www.facebook.com/help/787469977969222/). Stop the ones that are not performing and stick with the ones that are doing well. So, if you have an eco travel site, you may say “Click Like If You Like Turtles,” or something you know your audience loves. Facebook will approve/disapprove the ads, so you won’t have to worry about it not being an appropriate message. Or you can drive people who do not Like your page currently to a particular post on your page, that will take them to your site and hope that they will like your page since they do not currently do so. Then use a photo that’s appealing to them, maybe a turtle crossing the road, on the beach, swimming, etc. Facebook has a tool that you can use to check the 20% text content. Go to https://www.facebook.com/help/468870969814641, read this section and there is a link to the tool. Facebook Help files for Ads, really tells you all you need to get started. The advanced stuff takes trial and error and lots of reading to get it right, but the results are worth it. I strongly encourage that you create some sort of product/service, this way you can keep your acquisition cost low and get your prospects to try your product/service. If you are just starting out, concentrate on building a targeted quality audience based on demographics (country, age, marital status, gender) and then geography and interests. 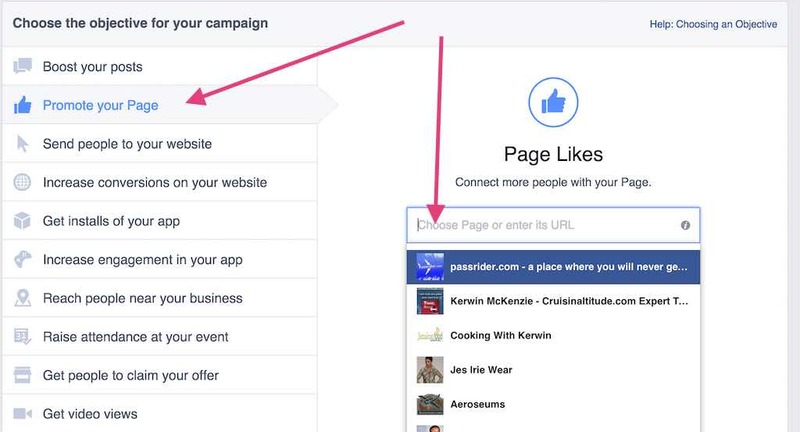 You can even target people whom you know like other pages. e.g. target people who like national geographic magazine’s Facebook page since more than likely they like traveling to cool place. Steps To Take To Create an Ad to Promote Your Page. Choose the “Promote Your Page” option; it will then ask you to choose the page you wish to promote. Choose the page from the dropdown if you have multiple pages. Of course if you want to do other campaigns you can do that as well. 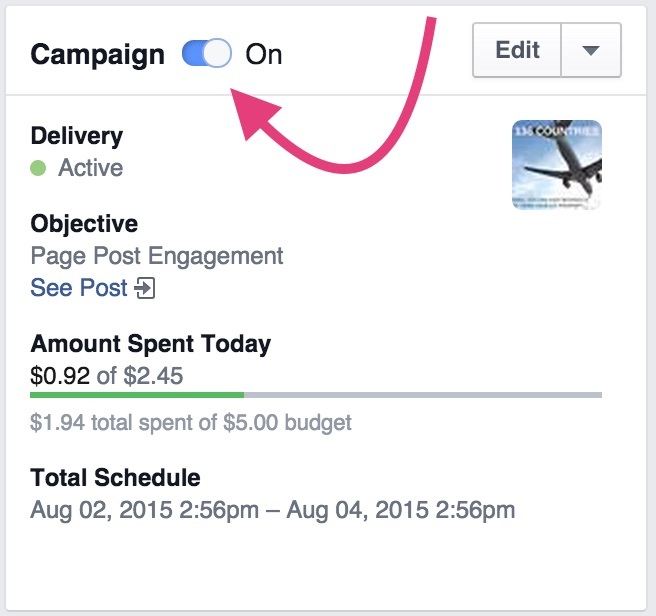 Give the campaign a name after Facebook loads your page into its active memory. There is context sensitive Hep all along the way to help you. Set up your Locations (you are better off just using one country per ad; it just works better and is more manageable and measurable), Age, Gender, Languages and Interests and Behavior. As you tailor your audience, Facebook tells you how large it is on the right hand side (Audience Definition). So you can see if you need to adjust items to make it better. As its a Promote Page Campaign, its going to people who have not yet Liked your page, but you can change that of course. In Interests, you can find out the name of the page you know your users like and type it here. Not all pages are indexed by Facebook, so you may not see it show up, just try another one until you find one that is indexed. They say they are working on this, but the’ve been working on it forever :-). Don’t be despaired. Really take a look at your Facebook Insights for your Page to determine what your users are doing and what you want to target in terms of Interests. Set a Budget; start with $5/day. You can also set a lifetime budget as well. Choose what works for you. Pricing, Decide how much you want to pay as your acquisition cost; FB will always choose something high, just adjust as your pocket can afford. Remember that you’ve set a daily budget, so once you hit that your ads will stop running, but you can always tweak it as you go along. So if you’re doing well and your budget hits, you may want to increase the budget or just wait for the next day for it to start over. Experiment with this part once your ad is running to see what is working. Some people have seen great results using the “Get the most likes at the best price – You will be charged for impressions” option. I have too, but experiment. 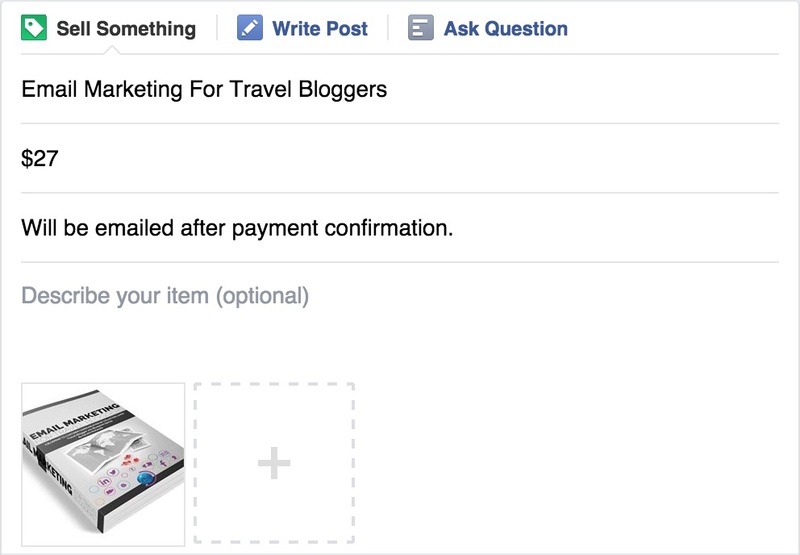 Leave Ad scheduling and delivery type; FB will figure that out. Choose the images for your Ads by clicking on the image under the Select Images words; you can choose up to six images and Facebook will tell you which ones are doing best, then you just shut off the other Ads and use that one. Then add your marketing message to get users to visit and Like your page. Once you are happy with the images and then entire Ad overall, click Place Your Order button. And then Facebook will get back to you once your Ad is approved. 1). Run a specific campaign to gain targeted Likes for your page as you may want that so you can be in the runnings for campaigns from brands, etc. 2). Run a specific campaign to get targeted people to your site via a Facebook post [campaigns to Facebook.com are cheaper than to your own blog), join your mailing list, read your posts, then invite them to Like your page once you start communicating with them. Test, test, test. Each campaign will be different, they may not all be stellar, but keep at it. Let me know if you all have any questions, I’ll do my best to answer them here so that all may benefit. 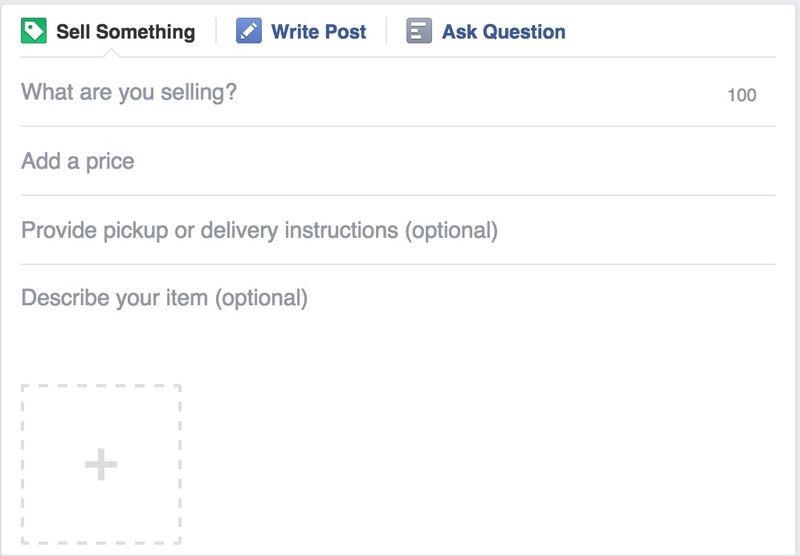 If you have a Facebook Group for your fans, you can now “Sell Something” to them now. So you can create a post and then and a link to the sales page. Of course you can do this today in a regular post, but this new one is designed specifically to accomplish this task. For now, I only see it in select Groups of which I am a member and not even any of my Facebook Pages, so it means its just rolling out. Here’s what you will see once you enter your Group. I’ll update this page once I have it in a Group where I can actually post something for sale :-). In April 2014, I got featured as Influencer of The Week by The MidGame.com. I was pretty thrilled to be chosen. Quite a few others have been chosen as well. You can see them here. The idea behind the site is to match bloggers with brands; simple. Once you are signed up, go to Opportunities in the navigation and you will see all the open opportunities. i.e. Brands who have available offers. Offer can be a fixed rate gig or you get paid for referrals and/or sales. Some of the offers allow you to set your rates, so its quite flexible. We’ve just launched the internet’s best referral program, and we want you in it! Simply refer other influencers to themidgame between February 24, 2015 and March 23rd 2015, and if they get sponsored you BOTH earn $100, up to 10 times! Say WHAT? Yes, you read correctly, you can earn up to 1,000 USD PER referral! We’re sponsoring over 100 influencers in themidgame in the next two weeks, so if one of your referrals gets sponsored, you can start earning money from your referrals immediately. We’re currently looking for influencers in travel, fashion (male and female), fitness, health, technology, art, food and wine! Invite your influencer friends now and they could get sponsored for any of our upcoming campaigns. I was just using my twitter App on my phone and noticed that I now had an additional feature called “View Tweet Activity”. See the blue arrow below highlighting it. Once clicked, you can see all the activities surrounding your tweet in terms of engagements, retweets, replies, clicks on photos. 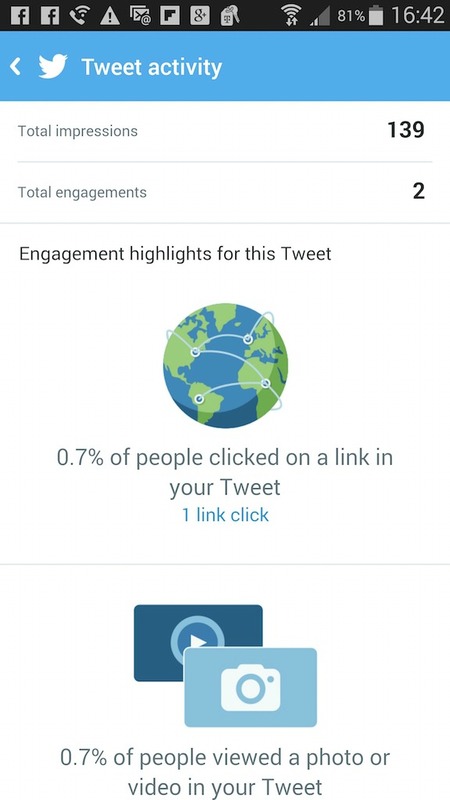 This is an extension of the twitter Ads functionality that you can see by going to http://ads.twitter.com and clicking on Analytics > Tweet Activity, except now its on your phone. So why should you care? This feature will help you determine how your tweet is doing and whether or not you should tweet more of the same. 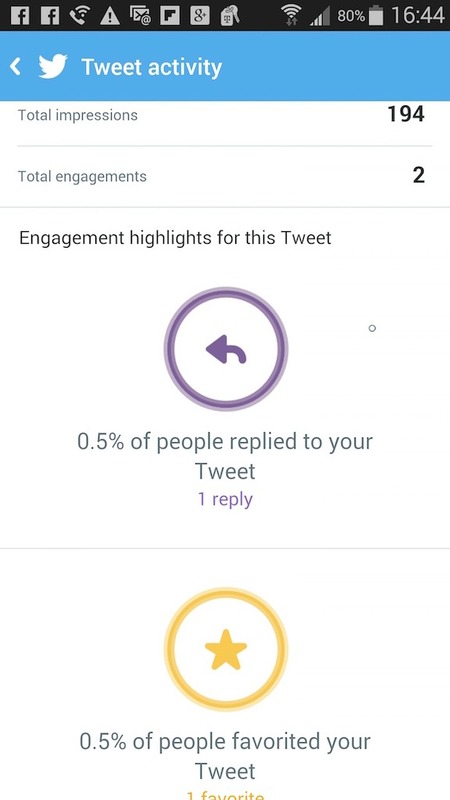 It also gives you a way to quickly see how is the engagement on your tweet. You can read more about twitter analytics here. 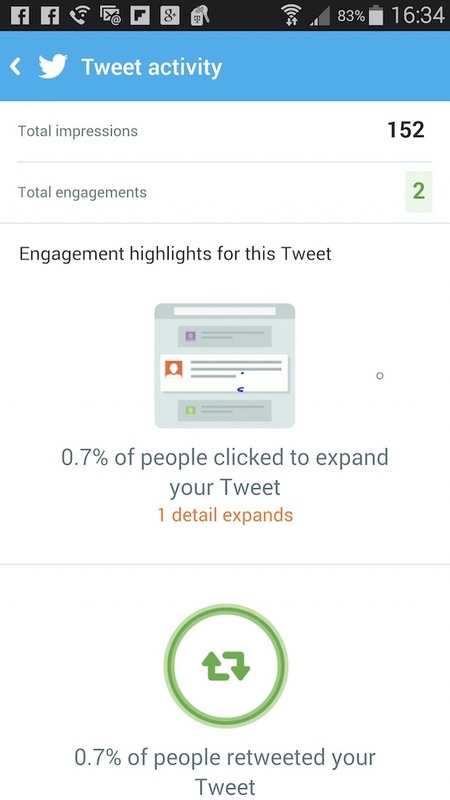 Here are a few examples of what the screens look like based on the engagement your tweet had.